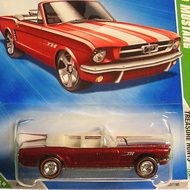 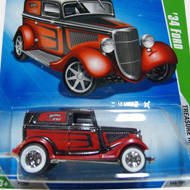 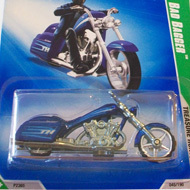 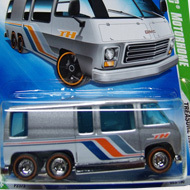 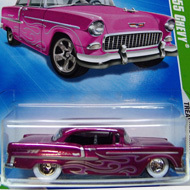 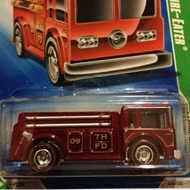 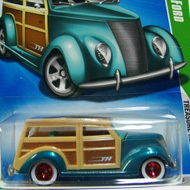 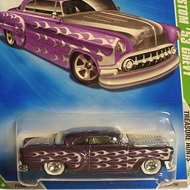 The 12 vehicles from the 2009 super set are upgrades of the regular set and may have premium paint and wheels. 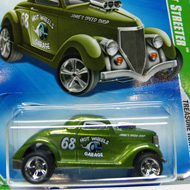 Each can be located by a card with “TH” at the top and a vertical green & white stripe with the vehicle’s name, “TREA$URE HUNT$” and “’09”. 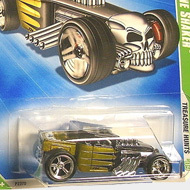 9/12 from the 2009 Super Treasure Hunt series. 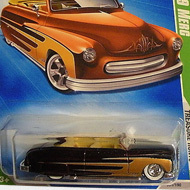 The Merc sports copper Spectraflame paint with gold and silver scallops on the sides….